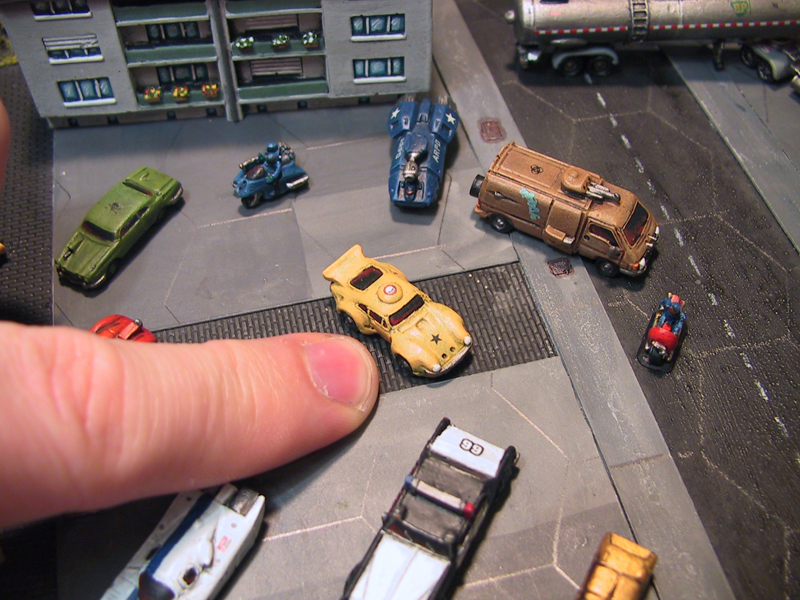 I bought these fantastic models form GZG a few years ago and also collected the range of vehicles from Old Crow Models. The tanks and this transport car were pre-painted on the Old Crow stand and since then I have decided I am not so keen on the chrome/metal look on the air curtain skirts. 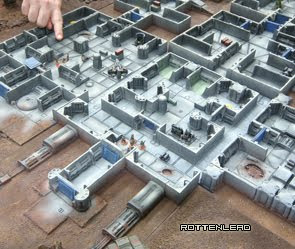 The little 15mm Hammers figures were painted by me and in this game we were using Savage Showdown rules for the squads. 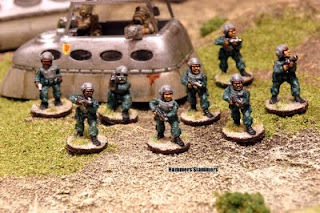 I tend to always do a light-colour desert buff base on 15mm figures, it gives them a contrast to stand out, which works well with such small figures on the table top (I hope).